Below are details of Val d’Isère’s ski schools – from the huge and long-established ESF, to the ’boutique’ specialist outfits such as Mountain Masters and Alpine Experience, as well as several private individual instructors. We give contact details, class sizes and prices (mostly in euros). Ski schools and instructors get booked early, particularly during school holidays. YOU SHOULD BOOK LESSONS FOR ANY BEGINNERS OR CHILDREN AS SOON AS YOU BOOK YOUR HOLIDAY. We are happy to give advice, but the best way to organise suitable instruction is by calling or emailing the ski schools or instructors yourself. They all speak English. During the summer some may not answer the telephone or reply to emails straight away. Val d’Isère’s ESF was France’s first ski school, and with 350 instructors is still Val’s biggest. More and more young English-speaking instructors and very reasonable prices make it an increasingly good option. Local Brit Katie handles British bookings. Book through Katie online or phone/fax and she will help match you up to a good English-speaking instructor or the right class for your level. Good website. For juniors there are maximum 8 children for their TOP 8 price, or ‘unlimited but never more than 15′ for a lower CLASSIC price – details below. Off-piste, race-training, children’s garden, snowboard, cross-country, ski-biking, snowshoe excursions, etc., all available. English-only lessons available at half term. With the improved nursery slopes at the top of Solaise, the ESF offers the discounted beginners’ 6-day lift pass costing €147 (€132.50 before 12 Dec), for beginners who book 5 days of lessons with them (mornings, afternoons or full days). The pass can be used outside lessons too around the entire Val d’Isère ski area – please ask them for details when booking your lessons. Prices for outside the French school holidays are marked ‘low’. Prices for school holidays 23-30 December 2018 and 6 April-5 May 2019 are marked ‘mid’, and prices for New Year (30 December-5 January) and Half Term (17 February-9 March 2019) are marked ‘high’. Lessons at the sweet Jardin des Neiges chalets (at the Rond Point or La Daille). Good for very robust children. Timid children can try a single lesson before committing. Meet at the Val Village ESF office. NB you will need to hire snowshoes and poles and have waterproof boots plus a ski pass if you want to snowshoe at altitude. Oxygène is renowned for teaching British children in the Alps and is now the second-largest ski school in Val d’Isère. Children’s ‘Magic Fun Factory’ group lessons begin from 3 years up to 12, with a maximum of six children per class. Lessons are run exclusively in English. Oxygène also work with Little Chicks childcare to provide a nanny service for children after their own lesson. Group lessons are also available for adults (from 13+) skiers and snowboarders, beginners to experts. Also private lessons on-piste, snowboard, cross country, telemark, off-piste. With the installation of the new nursery slopes at the top of Solaise, Oxygène offer the discounted 6-day lift pass costing €147 (€132.50 before 12 Dec), for beginner adults and children when you book a week of lessons – ask them for details when booking. Oxygène has its own ski rental shop with the latest equipment for children, adults and snowboarders. Chalet-fitting, and collection and/or delivery is available, and anyone taking lessons gets 20% off equipment-hire prices. New this season is clothing hire (handy if you forget something!) – see prices below. The ski school desk is in their ski rental shop in the Galerie des Cimes. Clear website which also gives details of après-ski activities such as helicopter rides, paragliding and skidoo. High season weeks are: 16 December 2018-12 January 2019; 10 February-9 March 2018; 31 March – 20 April 2019. All other dates are counted as ‘standard’. 5 mornings, Mon-Fri, 9.00-10.30 or 10.30-12.00, standard €325, high €380. Excellent ski school. Small group sizes of maximum 8 skiers, or 6 in some classes. Week-long or shorter courses and clinics available. With the new nursery slopes at the top of Solaise, Evolution 2 offer the discounted beginners’ 6-day lift pass costing €147 (€132.50 before 12 Dec), for beginners who book five days of lessons with them (mornings, afternoons or full days). The pass can be used outside lessons too around the entire Val d’Isère ski area – please ask them for details when booking your lessons. Their instructors are mostly French, some British. Guests have recommended Valérie who is fantastic with children. Lessons start at 9am which avoids the main ‘rush-hour’, though children’s classes meet at the ski school rather than on the slopes. Teenage skiers age 14+ who are not experienced enough for Teen Extreme can join adult classes during school holidays. Every effort is made to put teenagers together. Off-piste tours, Tovière, Espace Killy, Tarentaise, Bonneval, half or full day – see the Evolution2 website. The only small top-end ski school to offer adult group lessons all season. Also the smallest group-size for adults (maximum 4 people). Fully-qualified English-speaking instructors. Technical clinics for 2 or 3 mornings or afternoons – book early to tailor times and number of sessions to you. Booking is easy all year round using UK phone number given above. Children get a goody-bag at the end of the week with badges, booklets, group photo and a DVD of your child skiing. Discounts for YSE children if the family has more than one child in Progression classes. Mobile physiotherapy and massage service from €60 for half an hour, €100 for an hour. Afternoon continuation, 13.00-16.30 €265 (or €90 per session) on top of the morning lesson on Tuesday/Wednesday/Thursday (not available for beginners). The instructor picks the children up from the morning lesson and takes them for some lunch and further skiing until 4.30pm. The cost of lunch is not included. 5 mornings, Mon–Fri, 9.00–13.00, €445. Afternoon continuation option – see Children’s group lessons above. Ski, snowboard, telemark – ABS Airbag or Ortovox rucksack, transceiver, shovel and probe provided. 8 British and 7 French instructors including well-known British instructors Al, Dave, Mark, Phill, Rupert, Rupert, Simon and Tansy. Enthusiastic personal attention and great feedback from YSE guests. Very good for older children, slalom, bumps, powder and for those looking for a new approach or less confident skiers on the verge of giving up. Mostly private lessons, though they will put adults’ on- and off-piste groups together if there’s enough demand from people of the same level. No group classes for beginners. Children’s classes only during school holidays if enough demand. Expensive but worth it and must be booked in advance. Video during lessons, watched in a mountain restaurant. Also snowboard, telemark and snowshoeing. Office in Killy Sports in the centre of Val d’Isère, where the ever-efficient Estelle makes a big effort to match each group with just the right instructor. Also heli-skiing, ski touring, off-piste courses – ask Mountain Masters for details and prices. 6 levels from snowplough to ‘Gold+’ (technique, slalom, park). Also ‘Ski Beyond’ for advanced teenagers. 20 highly-respected British instructors charging higher prices for higher standards of tuition. Small group clinics from green runs to bumps to off-piste, with a maximum of 6 people in a group. Most clinics run for 3 consecutive half days, but can be flexible if required. They also run discounted early-season clinics in the first half of December, heli-skiing days, off-piste adventure weeks and ski instructor training. Get in touch by phone or email (see above), or visit their office in Snowberry Slopeside at the Rond Point des Pistes. Office hours are 4.30-6.30pm Sunday to Friday. Prices are unchanged from last season. 5% discount for YSE guests by using discount code YSE2019 when booking. On-piste, basic freestyle, jumps, bumps, variable terrain, racing, etc. “Private Share” – when booking your private lesson you can state that you are happy to share your session with another person. If you or TDC manage to find somebody to share, you save 50%. Well-organised and friendly British-run ski school with 8 enthusiastic and energetic instructors teaching skiing and snowboarding. All lessons taught in English. Traditional, popular group lessons, plus more flexible and innovative performance clinics including their Pro-Ride group for advanced teen skiers. Also private lessons on- and off-piste. Children’s morning lessons during school holidays. On non-peak dates, beginners get an extra two hours on their first day for no extra cost, and the last day has a double-length lesson so instructors can take their classes further afield. Very good website with interactive video for determining your level, and good feedback received from YSE guests. For advanced skiers/boarders. To refresh and develop skills with more focused sessions. On- or off-piste. Ski and snowboard. A small team of mostly British (but all native English-speaking) instructors giving expert, enthusiastic teaching in small groups. Skiing only, no snowboarding lessons. Children’s group lessons from 7 years old. BASS recommend younger children are taught one-to-one to give maximum confidence. Clear description of the ability levels on the website. Very good feedback from YSE guests. Prices are given in sterling and you pay in advance online. 10% discount to YSE guests outside school holidays. 1 beginner, 2 confidence, 3 intermediate improver, 4 technique & tactics, 5 performance. Ski school (and bespoke real estate office) under the direction of Vincent Robert who has instructed on- and off-piste in Val d’Isère for 20+ years, along with his team of fully qualified instructors. All speak English. Each instructor has his/her specialisation: on-piste technique, snowboard, teaching children, off-piste, etc. Very flexible for dealing with individual requests from groups and families. A small and sympathetic team of experienced French instructors who all speak English. Their ethos is to base the lesson on the needs of the individual or group of skiers or snowboarders, watching progress and listening to requirements. Mostly private lessons but some group classes, the most popular being the ‘Petits Minos’ for young children. Maximum class size 6 people (4 for Petits Minos). 10% discount for YSE guests if you book 5 consecutive lessons via their website, or 5% off for single or fewer sessions. Also snowshoe, ice-climbing, discovery courses. and Teenagers who can ski red runs wanting to improve technique on all terrain, bumps, snowpark, etc. A young and dynamic team of experienced instructors and guides, passionate about the mountains and snow-sports. 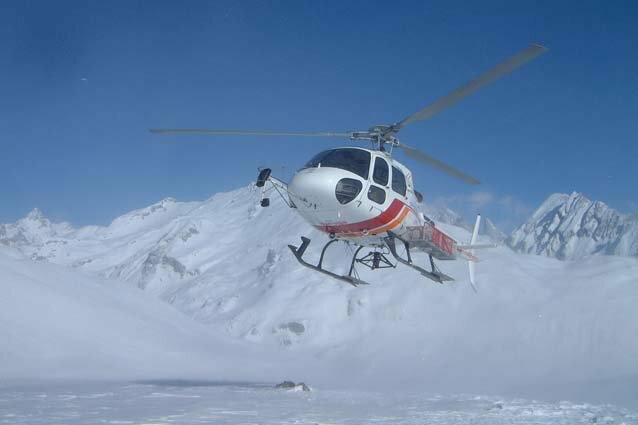 Based in Val d’Isère since 1998 and specialising in off-piste guiding, heliski, freestyle coaching and ice-climbing. They also offer on-piste guiding around the Espace Killy pistes. Small groups. Good English. Can arrange meeting points nearer your accommodation or vary guiding times to suit you, on request. Small school specialising in off-piste, with old favourites Wayne, Chris, Henry, Andreas and Thomas. Constructive, careful and fun. Individuals can join off-piste groups of similar experience and ability. There are groups for all levels including introduction, as well as heli-skiing and inter-resort trips. Day trips on request. Also on-piste private ski lessons, and private snowboarding lessons available with Thomas. Prices unchanged from last season. The oldest off-piste and ski-touring specialist in Val d’Isere, aiming to get everyone to another level while enjoying both the skiing and mountains. Individuals can book into groups for full days only, though they will try and pool those who want to share an off-piste morning with other people if possible. Private instructors offer on- and off-piste and a large array of ski touring itineraries for all levels. Heli-skiing and inter-resort tours also available. ABS airbag, shovel, probe and avalanche beacon included in the price. Bookings can be made via their website, or by email/phone. Their office is in the Jack Wolfskin shop in the centre of Val d’Isère. You can hire ski-touring equipment there. Ten top mountain guides/ski instructors offering off-piste, ski touring, heliski, snowshoe, ice climbing and winter mountaineering. Contact them for prices. Their office is in the Mountain Proshop in the Galerie des Cimes. In the summer they offer mountaineering, rock climbing, trekking, via ferrata and canyoning, with trips all over the world. A close-knit team of 7 experienced instructors and guides who set up iSki in 2012 to ‘rekindle the club atmosphere’ in their ski school, with the emphasis on shared experience and conviviality. They specialise in off-piste with groups going out every day of the season (if conditions allow) at 3 levels: introduction, advanced and expert, so single skiers can join groups without having to book a private instructor. They also offer on- and off-piste private lessons and guides. All instructors speak English. Book via their easy-to-use website. Hard-core off-piste ski school. Private lessons, visits to other resorts, touring trips of one or several days, heli-skiing. Unfussy website with clear information. Independent instructor who is simply brilliant with children and taught our MD Fiona Easdale’s children. Private lessons only, including adults’ ski and snowboard lessons on- and off-piste, ski touring and snowshoe excursions. Excellent and hugely experienced mountain guide and instructor, specialising in off-piste. A member of the Bureau des Guides, with a range of international instructing qualifications, he has skied and mountaineered all over the world. Off-piste, ski touring (day or multi-day trips), heli-skiing, glacier skiing, ice climbing. You don’t have to be an expert to step off the beaten tracks: Pierre will take solo skiers or groups of families and/or friends, expert or amateur, and build confidence and share his knowledge of the mountains. Lolo is a native of Val d’Isère who has taught skiing since 1989, offering private and group lessons for children (from 3 years) and adults. She is a qualified American (PSIA) and French ski instructor. She’s also married to an Englishman so has the advantage of perfect English combined with a profound knowledge of the area, and lessons are fun, informative and tailored to each group or individual. Affiliated to the ESF, prices are the same whether booked directly with Lolo or via the ESF office. 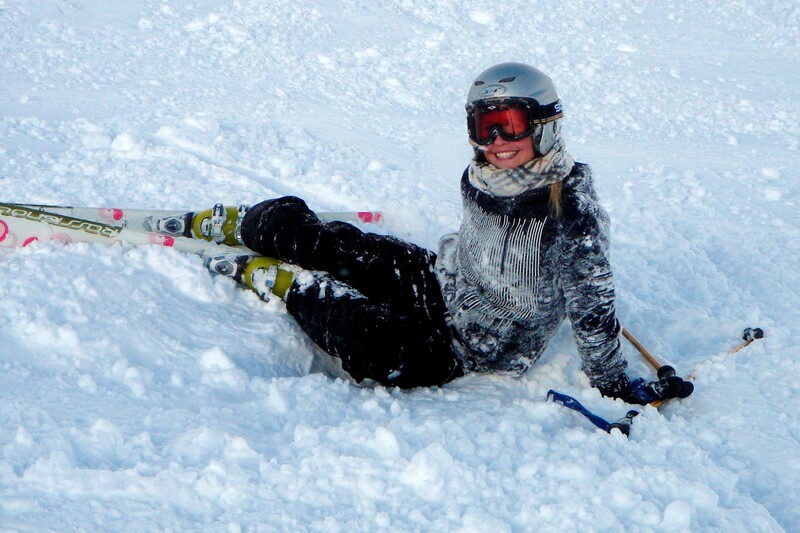 Michelle is a qualified instructor and former racer who has lived and taught skiing in Val d’Isère for years, and specialises in private lessons for children from the age of 3. 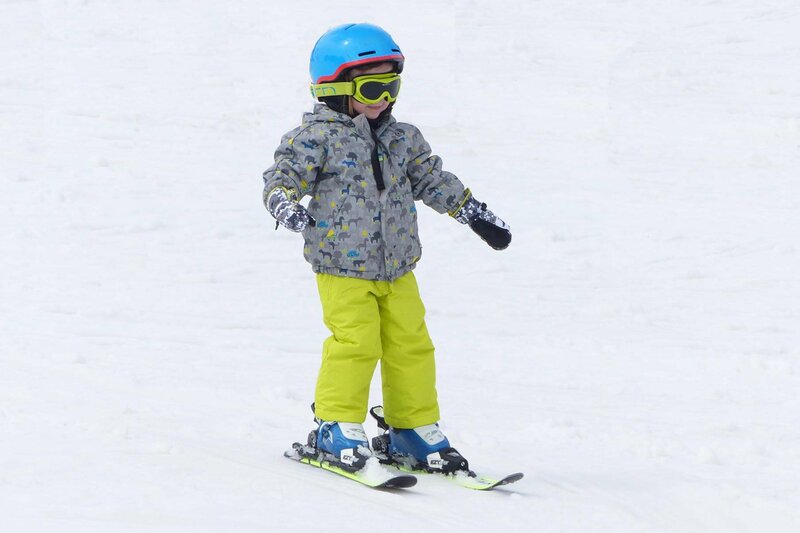 Lessons are geared to the child’s level of skiing, confidence and strength. Up to four children per lesson, she will even take children of different abilities and organise the lesson accordingly. She will meet your child at your chalet if requested. Good, informative website. – Tinies’ Club, for tots from 3 years. Elaine is a fully internationally qualified ski coach/instructor, and a Scot who has lived in France for 20 years. She is the only British instructor affiliated to the ESF and speaks fluent French. She teaches all levels with patience and knowledge of the mountains where she also bikes and Nordic walks in the summer. Her ethos is that skiing involves physical, psychological, tactical and technical skills, and she is able to find what mix of these skills you need to improve your skiing. Lessons for children and adults. Prices vary depending on high/low season. A team of 3 fully-qualified and experienced British snowboard instructors whose aim is to deliver the best snowboard tuition available. Group and private lessons for all abilities on- and off-piste from absolute beginners to the most advanced rider. They are small enough to be able to tailor lessons to suit the learner, so private lessons are very flexible. Prices remain unchanged from last season. Richard holds the top French and British ski teaching qualifications, is a former BASI trainer, examiner, FIS racer and coach. He has taught in some of the world’s best ski schools and for the past 25 years he has based himself in Val d’Isère. He’s enthusiastic, a great teacher, guide and coach with a natural ability to adapt to and inspire skiers of all levels, developing technical skills and building confidence while sharing his infectious passion for skiing and the whole snowy mountain experience. Very patient with nervous beginners, excellent with kids of all ages and passionate for the extensive off-piste of the area. Photos and instant video analysis or online distance video analysis and feedback available. Skiing is all about Fun and Staying Safe! All-British ski instruction, on and off-piste with Martin Mckay. Learn to ski the pistes from greens, blues, reds and blacks as well as off-piste powder snow, moguls and steeper slopes with confidence. YSE guests receive 10% off these rates – just quote YSE. Next course: Ultimate Ski Masterclass – On and Off-piste Mastery. This is for good red/black run piste skiers who want to unlock their full potential and boost their ski confidence and technique, on and off-piste. Bernard Chesneau is a fully bilingual ski coach and author. His view is that private ski coaching is for people who, realising that things in their current form are not working, call forth the expression of everything that is good about themselves, and who know that something better and greater is possible. Further information on the website. A team of 3 fully-qualified and experienced British snowboard instructors whose aim is to deliver the best snowboard tuition available. Group and private lessons for all abilities on- and off-piste. They are small enough to be able to tailor lessons to suit the learner, so private lessons are very flexible. Prices remain unchanged from last season. One of the oldest families in Val d’Isère, the Mattis clan has run hotels and businesses including the Mattis ski hire shop since Val d’Isère started as a ski resort. Stages Mattis, formerly known as Val Gliss, has operated for more than 40 years and concentrates on the spirit of competition and fun in skiing, always respecting the mountain. Brand new website gives comprehensive information.